Biáoátechánoláoágist [bi ? 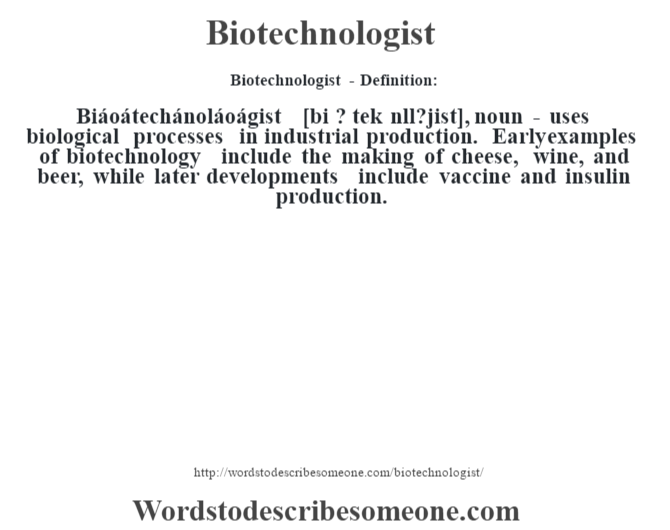 tek nll?jist], noun – uses biological processes in industrial production. Early examples of biotechnology include the making of cheese, wine, and beer, while later developments include vaccine and insulin production.